Tackling one of today’s most timely issues from a broad, humanistic perspective, this book explores the emotional, ethical, and aesthetic challenges of living under constant surveillance in post-9/11 American society. Never before has so much been known about so many. CCTV cameras, TSA scanners, NSA databases, big data marketers, predator drones, “stop and frisk” tactics, Facebook algorithms, hidden spyware, and even old-fashioned nosy neighbors—surveillance has become so ubiquitous that we take its presence for granted. While many types of surveillance are pitched as ways to make us safer, almost no one has examined the unintended consequences of living under constant scrutiny and how it changes the way we think and feel about the world. 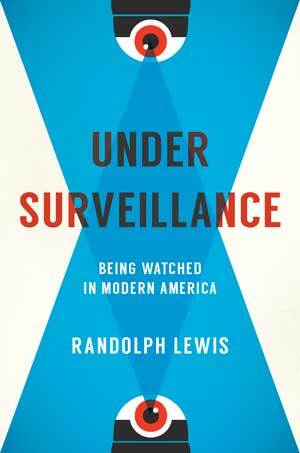 In Under Surveillance, Randolph Lewis offers a highly original look at the emotional, ethical, and aesthetic challenges of living with surveillance in America since 9/11. Taking a broad and humanistic approach, Lewis explores the growth of surveillance in surprising places, such as childhood and nature. He traces the rise of businesses designed to provide surveillance and security, including those that cater to the Bible Belt’s houses of worship. And he peers into the dark side of playful surveillance, such as eBay’s online guide to “Fun with Surveillance Gadgets.” A worried but ultimately genial guide to this landscape, Lewis helps us see the hidden costs of living in a “control society” in which surveillance is deemed essential to governance and business alike. Written accessibly for a general audience, Under Surveillance prompts us to think deeply about what Lewis calls “the soft tissue damage” inflicted by the culture of surveillance. Lewis is a professor of American studies at the University of Texas at Austin. He has written extensively on how visual culture shapes our sense of the nation, often focusing on people who work outside the cultural mainstream. His previous books include Navajo Talking Picture: Cinema on Native Ground. Copyright © 2013–2019 University of Texas Press. All rights reserved. The University of Texas Press is a member of the Association of University Presses. This site was generously funded, in part, by a grant from the Andrew W. Mellon Foundation.